FRIDAY NIGHT'S EVENT HAS BEEN CANCELLED DUE TO RAIN AND LIGHTNING IN THE AREA. THE SAFETY OF OUR GUESTS IS OUR FIRST PRIORITY. FRIDAY'S TICKETS WILL BE HONORED AT SATURDAY'S VIEWING. The International Ocean Film Tour kicks off its American tour in the Watersound Origins community. 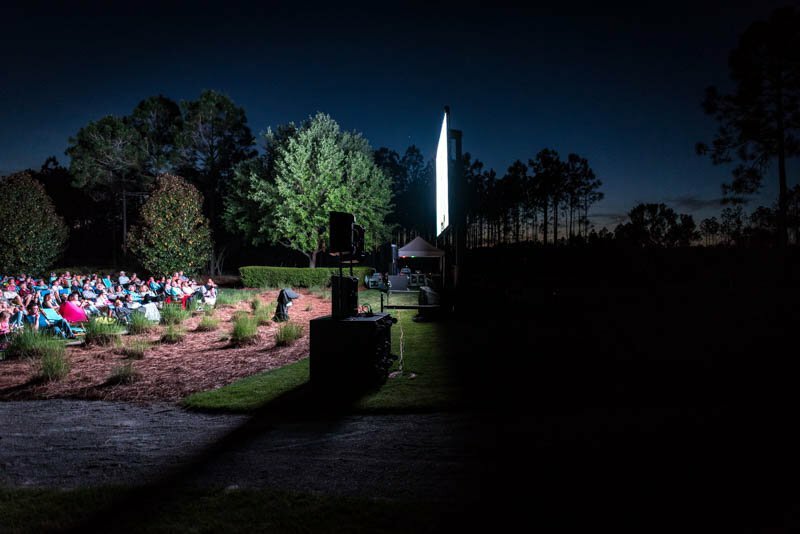 Similar to MountainFilm on Tour at WaterColor Inn & Resort, the event will feature films with inspiring protagonists, powerful stories, and stunning visuals all into one film program. Due to demand, the event will take place over 2 nights – the same films will be shown each night, allowing twice as many people to enjoy the event! Friday, April 5, 2019 7:00 – 10:00 p.m.
Saturday, April 6, 2019, 7:00 - 10:00 p.m.
Food, Beer and wine will also be available for purchase from the Watersound Café. Coolers are not permitted. Attendees are invited to bring low back chairs or blankets for a night of inspiring films under the stars. Tickets are limited, non -refundable and could sell out. Event is rain or shine. Event is suggested for those age 10 and up.